In Australia, debates around school funding tend to focus on comparisons of funding between school systems and what this means for equity. In this paper, while we look at school-level funding between systems, our emphasis is on private funding in public schools with a particular emphasis on the relationship between private funding and ICSEA. Using data provided by the Australian Curriculum, Assessment and Reporting Authority, we present a series of analyses that document the current funding arrangements of Australian schools. In particular, we focus on how private income and parental contributions are mediated by sector (Government, Catholic and Independent), system (States and Territories) and educational advantage. These analyses show that government schools are generating notable private funding per student with the majority coming from parental fees, charges and other contributions. We further demonstrate that these private contributions advantage may exacerbate inequalities within public systems across Australia. Australian Curriculum, Assessment and Reporting Authority (ACARA). (2016). About ICSEA http://docs.acara.edu.au/resources/About_icsea_2014.pdf. Australian Curriculum, Assessment and Reporting Authority (ACARA). (2017a). 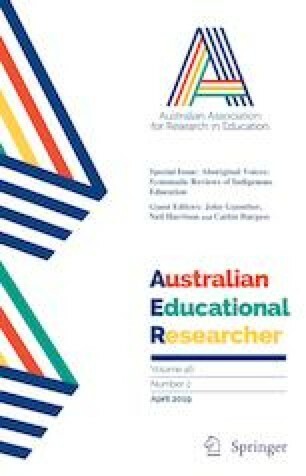 National Report on Schooling in Australia 2015. https://www.acara.edu.au/docs/default-source/default-document-library/national-report-on-schooling-in-australia-2015.pdf?sfvrsn=0. Australian Curriculum, Assessment and Reporting Authority (ACARA). (2017b). “Glossary”. My School website https://www.myschool.edu.au/glossary/. Australian Government. (2017a). Additional funding for the Northern Territory. Retrieved October 13, 2017 from Quality Schools https://docs.education.gov.au/system/files/doc/other/additional_funding_for_the_northern_territory.pdf. Australian Government. (2017b). New fairer funding from 2018. Retrieved October 13, 2017 from Quality Schools https://docs.education.gov.au/system/files/doc/other/new_fairer_school_funding_2018.pdf. Bagshaw, E., and Smith, A. (2015). NSW parents pay $61 million for public education. Retrieved October 21, 2017 from The Sydney Morning Herald http://www.smh.com.au/national/education/nsw-parents-pay-61-million-for-public-education-20150622-ghu1wv.html. Pont, B., Figueroa, D., Zapata, J., & Fraccola, S. (2013). Education Policy Outlook: Australia. OECD http://www.oecd.org/edu/EDUCATION%20POLICY%20OUTLOOK%20AUSTRALIA_EN.pdf. Potts, A. 1997. Public and private schooling in Australia-Historical and contemporary considerations. Institute of Historical Research Retrieved from https://sas-space.sas.ac.uk/4651/1/Public_And_Private_Schooling_In_Australia_-_Historical_And_Contemporary_Considerations_by_Anthony_Potts___Institute_of_Historical_Research.pdf.